We just celebrated Mother’s Day, and continue to celebrate mothers, children and families everywhere as we remember that May is National Foster Care Month. 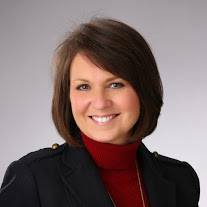 In this audio interview, Penny Nance, CEO and President of Concerned Women for America, talks to Angela Paxton, wife of pro-life, pro-family stalwart Attorney General Ken Paxton (R) of the great state of Texas. This story is the type that movies are made of, and as Mrs. Paxton would confirm, it could only happen through the grace of a Sovereign God. You do not want to miss it!